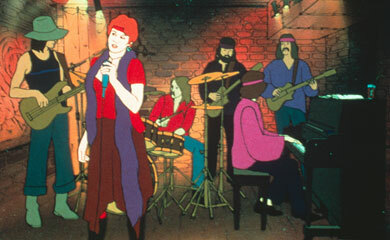 Ralph Bakshi’s American Pop is an animated film about the trajectory of pop music and songwriting in America over the course of four generations of aspiring musicians; Zalmie, Ben, Tony, and Lil’ Pete. It is an exceptional film, enough that I need to write about it. A true living painting, tracked to some of the best popular music of the past century, from vaudevillian troop numbers, to Joplin and Hendrix, to punk rock. 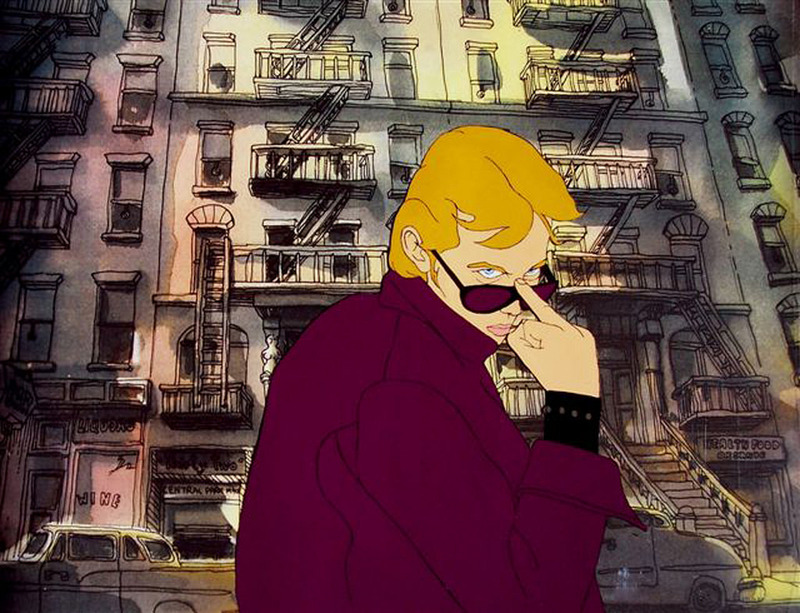 It is a richly painted film, animated in rotoscope, with a unique and vivid style. It doesn’t look or sound like anything else, making it feel timeless. 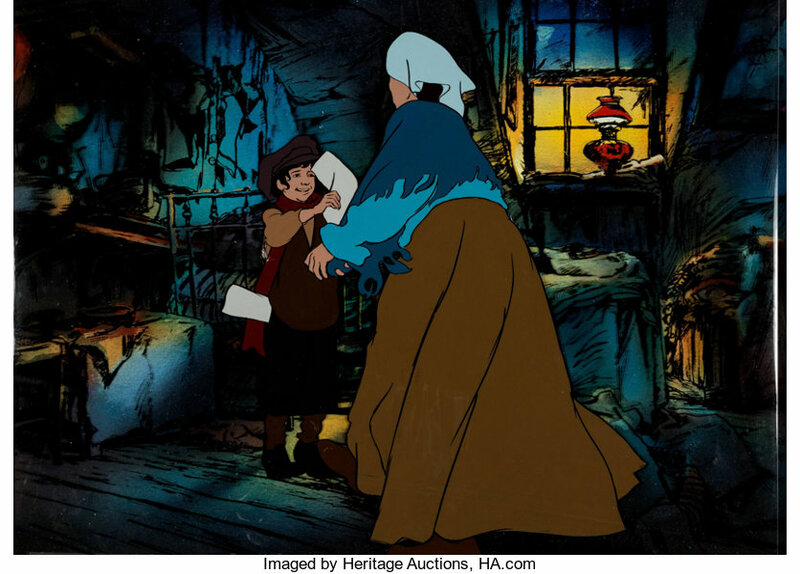 It is rich in storytelling, relying on story, song, and character to enrich the remarkable living paintings. It is a movie that does not need to tap into the shock value of pathos to make viewers feel like they got their money’s worth. It has the immersive atmosphere of campfire storytelling safety. We are free to feel all of the things that these brilliant and often struggling artists are feeling, without the suspenseful fear of violent, gut-grabbing, perceptual wrenches. It’s not one of those movies where you’re are always psychologically waiting for the other shoe to drop (which is an addictive, profitable, and cheap trick in film). 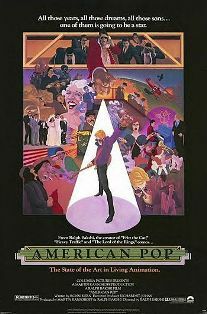 American Pop’s story and striking visual art invites you in, and you can relax and delight in it. More interestingly, American Pop does not shy away from the more trying realities of the artistic life; addiction, estrangement, emotional turmoil, economic hard times. 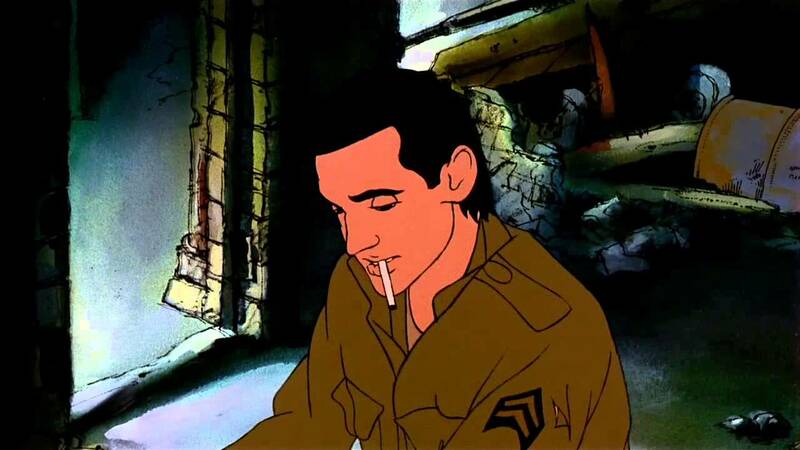 What’s more, Bakshi weaves in many of the most affective cultural fractures and upheavals of America’s history into the changing American Pop – world wars, gang wars, jazz lore, family sagas. 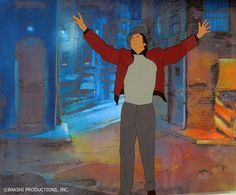 Bakshi’s picture does a great job of making palpable the rich and varied emotional lives of the artistic temperament. Sometimes emotions can really seem to climb out of the body and affect the world around you. Empathy proves this. Emotions act like pan-dimensional intelligences with their own goals, and humans are only one of the vessels they inhabit. The living painting of American Pop is a beautiful illustration of this concept. Aside from the remarkable music (showtunes, big band, jazz, rock and roll, punk rock), American Pop is sparsely and densely written. The script does not waste any words, and every scene is laden with a bundle of story. If you didn’t hear a snippet of dialogue, just wait for the next time you watch it. It’ll be fun, trust me. 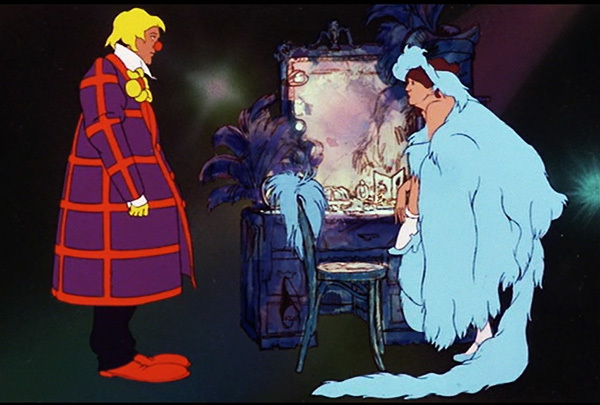 About an hour or so into the movie, the part of my mind that pays attention to characters felt like resting, and I zoned out for a mental breather and paid disproportionate attention to only the music, or certain evocative animations, and missed big story chunks. On repeat watches I have experienced increased pleasure at having the chance to pay attention to parts that I’d only overheard the time before. It’s a cool and very high quality movie; much better than I expected it to be. 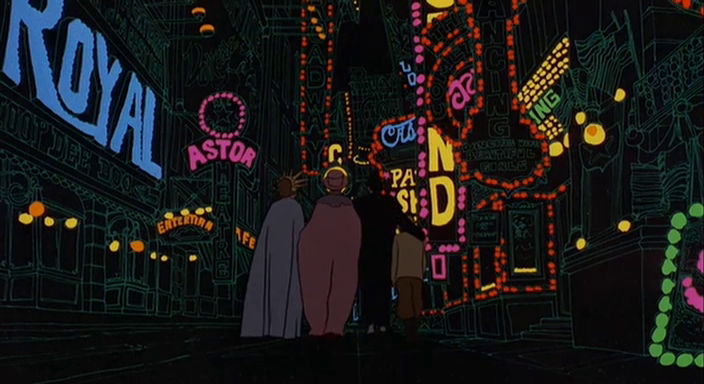 Visually, Bakshi conveys a world that is aged, imperfect, and beautiful. The depictions of Vaudville, the curvy dancers, the dancing horses, clown comics – wow. Then watching the pop music scene grow from Vaudville to beer halls to phonograph records, and the money started rolling in. For some, at least. And that is all just the stuff before television! The story travels west, just like America did, from Ellis Island to San Francisco over the course of 100 years of popular music. And all the while does a convincing and absorbing job of relating the spirits of the various eras within that century. Such a good story, rendered with inspired brushes. Yes, that’s English. Image courtesy of the British Library. Before medieval European civilization developed anything as novel as a “book,” “scroll,” or “codex,” there was the mind of the storyteller. The storyteller was given a special seat by the fire, fed for knowledge, and oft given full attention. The storyteller was the source of news from other lands, stories about the past. Anyone could become a storyteller, if they sat by the fire and cast the spell of speech, or song. Some did it more often than others. 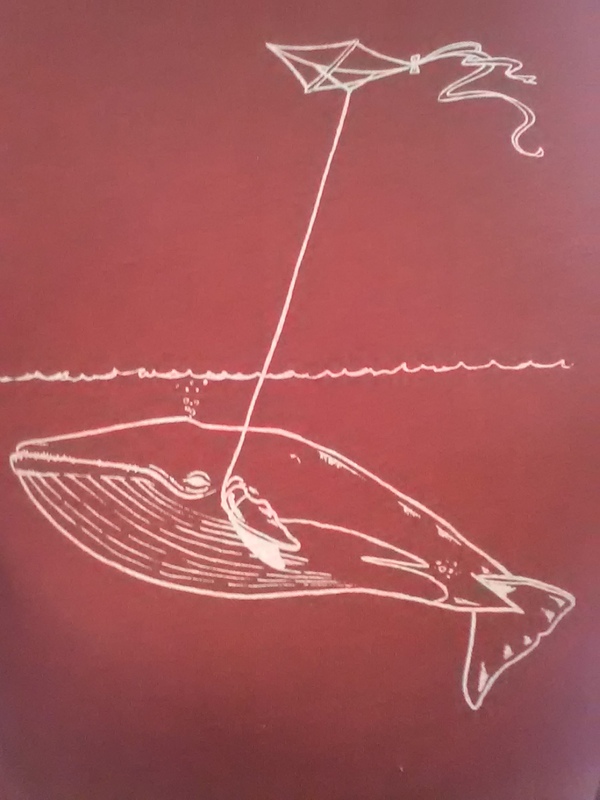 Some did it better than others, conjuring images and compelling deeds through utterance. For some, it became an identity. As speaking hominids, our growing community of storytellers created our first communal memory, our first library. Our library was populated with epic masterpieces, like the Epic of Gilgamesh, Enûma Eliš, Beowulf, The Iliad, and The Odyssey, to name a few. In time, these songs were written down. Yet for centuries before they were written down, they were performed. Beowulf was a tale sung by a single performer, over a matter of hours or even days, communicating a complex narrative, resplendent with emotion and commentary. From a historical perspective, Beowulf is such a significant document because it is a record of the gradual transition of a pre-print, aural culture committing itself to the marching lines of the written word. The oldest existing manuscript of Beowulf is a handwritten document, set down in a local dialect, chronicling the way in which the generations-old song was sung in that area. Someone decided, This is important enough to write down. It was no longer sufficient to remember and perform Beowulf. Maybe people didn’t have that kind of time anymore, who knows? The tale became printed, chosen to become an exact record, no longer polished by generations of poetic license. Though, in retellings change had been its nature. The written text of Beowulf is a fascinating artifact of Medieval European culture’s transition from oral to written. The oldest manuscript of the epic tale is dated at approximately 1000 AD. The song is believed to have been composed 3 centuries before (700 AD), as a tribute and eulogy to a dead king. Think of it: for about 300 years, the long and meticulous story of Beowulf was sung – performed – to a small listening audience. And this was not as novel a feat as we consider it now. Back then, there was no Gutenberg press, no widespread literacy. Song was the way important stories got around. 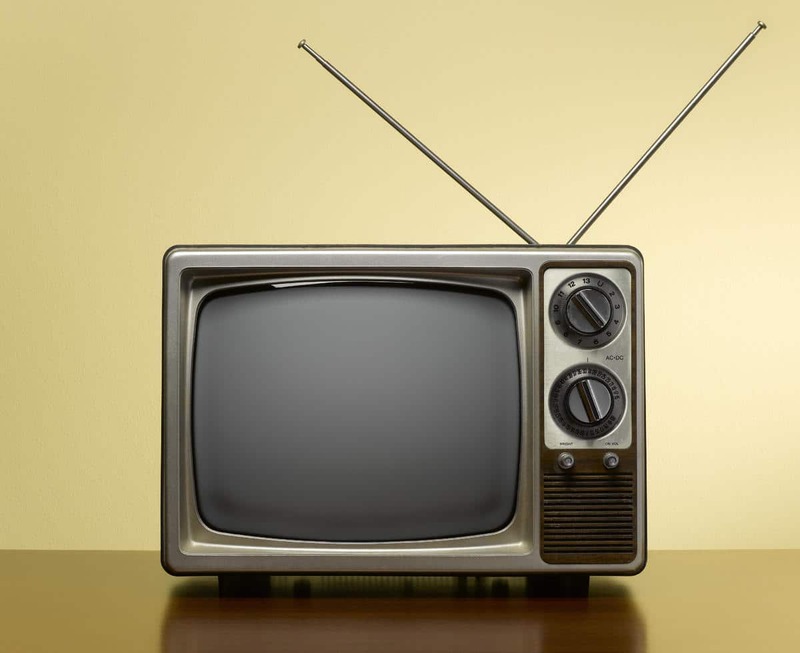 In pre-electrical times, the mesmerizing flicker and glow of the campfire was the first television. 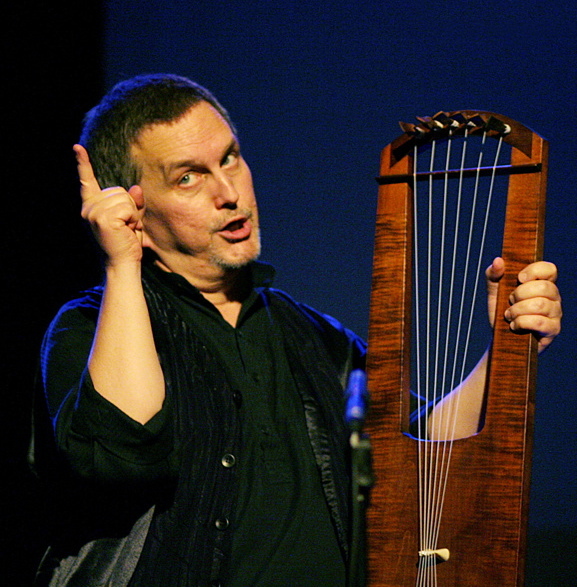 Similarly, bardic telling was the first “book,” a massive idea, organized by memory, with no manuscript of which to speak. This sort of thing, the transition from oral to written culture, has happened before (and it will happen again). Consider The Iliad and The Odyssey. Two bardic lays about Mycenaean Greeks during the Trojan War, occurring sometime around 1100 BC. 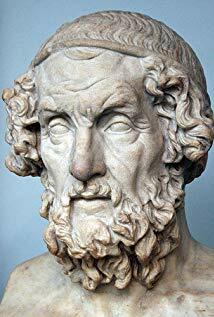 To our best current historical knowledge, Homer was the bard who finally committed the songs to written words around 850 BC. Interestingly, we do not know this for sure, because, like Beowulf the oldest existing manuscripts of The Illiad and The Oddessy also date from around the year 1000 AD, 1,850 years after Homer. Heavyweight epic poems of the classical and medieval ages were not committed to handwriting until after they had been sung for centuries. These to-be classics where everywhere, living books, volumes of thought, floating around in bardic minds. Marshall McLuhan Would Be Proud? According to the Ben Bagby production, Beowulf takes about 5 hours to perform. A lot of information was stored in that song. Before print culture, vocalization was the primary form of storage and transmission of human narrative. These days there are so many forms of narrative transmission that songs are merely regarded as pieces of pop albums. But our popular song verse-chorus-verse-bridge comes from an older singing tradition, an ancient, living, aural cycle, longer in detail, less compressed in relish. The pop song of today is built to deliver a Beowulf in 4 minutes or less, if it’s a hit. The bardic lay now electronically sped up and infinitely replicated into the rhinestone glitter of chart-topping glamour. Think of a modern singer-songwriter, prolific and talented. One songwriter, like Harry Nilsson or Bob Dylan, has hours of songs. Stevie Wonder could sing his own songs, with no repeats, for longer than it would take Ben Bagby to sing Beowulf. The Bards Are Back, Baby! New bards, with fresh rewrites of The Illiad, The Oddessy, Beowulf, and beyond. This, I think, is part of what McLuhan was referring to when he wrote of an “electrical retribalization” of the west. 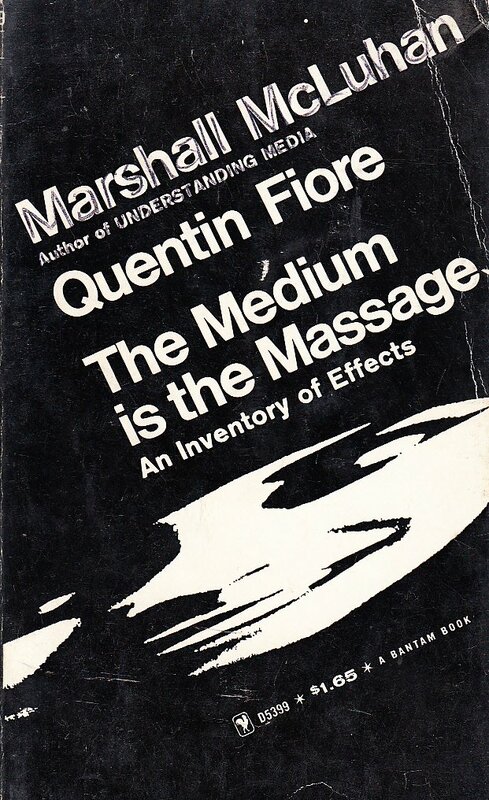 Marshall McLuhan called the electronic media “an extension of our central nervous system,” leading to a new turn back to an aural culture. Like the refugee librarian nomads at the end of Bradbury’s Fahrenheit 451. Those fellows each remembered an entire book, every word, every detail cover to cover. 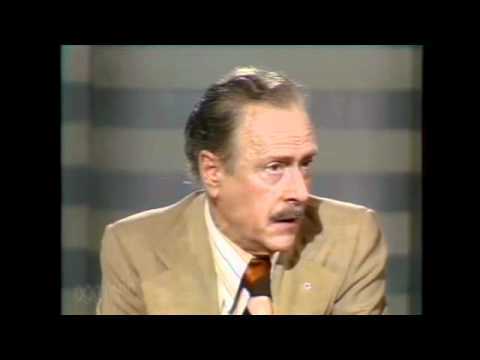 The cycle seems repetitive, the way McLuhan frames it. “Retribalization” implies nothing new. Consider the long dynastic ages of Egypt and China, both examples of aural-to-print revolutions in previous historical incarnations. For me, the question becomes, What historical incarnation do we resemble now? I think we’re going visual, an emoticon era, new hieroglyphics based on mutually incomprehensible languages. Is our auditory sensorium building a new picto-aural communal library, parallel to the book, accessible via the ability to learn from electronically listening to others? Think of the way you tell a story from memory. Images and clouds of scenes are strung together by a storyteller’s vocalization, which captures the details of the story with dynamic precision. In that library, how will you find your books, and choose your teachers? Will the storytellers sing for their supper, again? Doesn’t Stevie Wonder deserve better? Will retribalization make fiat currency incidental, as people learn to exchange value on an individualized, localized scale? Run with it. A happy mini-post today because I finished recording voice tracks for the Cetus Finalis audio book! Next, scene and chapter breaks will be set to Ryan Hurtgen’s original score. You’re going to love this. Stay tuned for aural pleasure.